School gardens are a great way to get children to learn about nutrition. 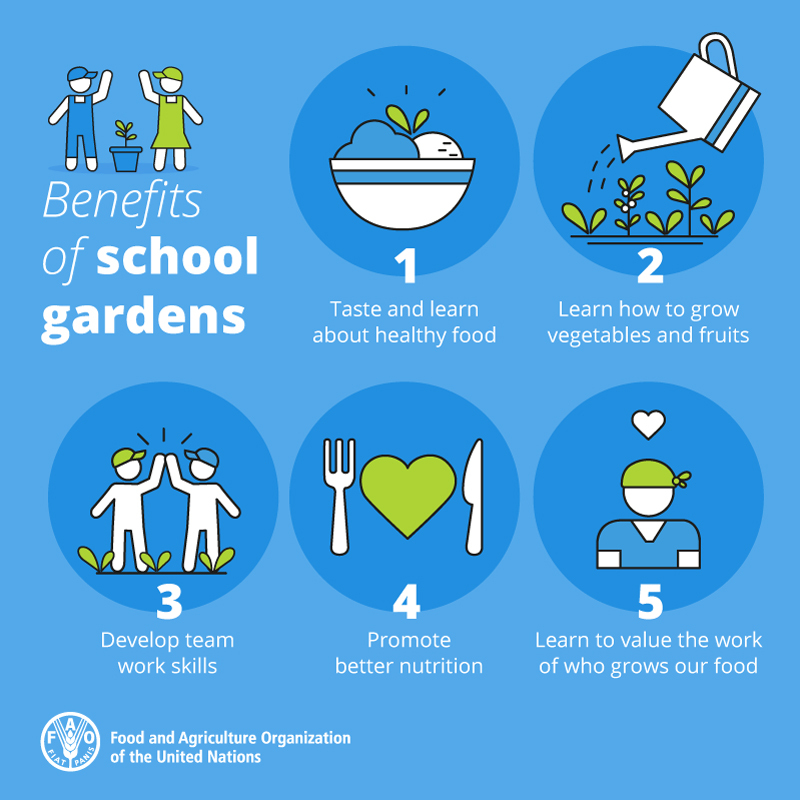 FAO encourages and supports countries to promote school gardens with educational goals to help students, school staff and families make the connection between growing food and good diets, develop life skills and increase environmental awareness. FAO recognizes that schools are an ideal setting to support the nutrition and development of children and youth. Schools reach children at an age when food and health habits are being formed. They also influence families, the school community and can be a channel for wider community participation. Promoting better diets and nutrition through schools can create health and well-being benefits that extend beyond the classroom to households and communities. Linking school meal programmes to local food production can increase community involvement, strengthen and diversify local food systems, and improve the livelihoods of smallholder farmers.